LatinaLista — For the first time, the National Trust for Historic Preservation recognized a site in Puerto Rico for inclusion in their annual list of endangered historic places. San José Church in Old San Juan, Puerto Rico was included in this year’s round-up of America’s 11 Most Endangered Historic Places. Built in 1532, it is the second oldest church in the Americas and one of an elite group of surviving examples of 16th century Spanish Gothic architecture in the Western Hemisphere. It’s been closed for 13 years and is suffering from severe deterioration and structural damage issues — all problems that make it an ideal candidate for historic preservation recognition. 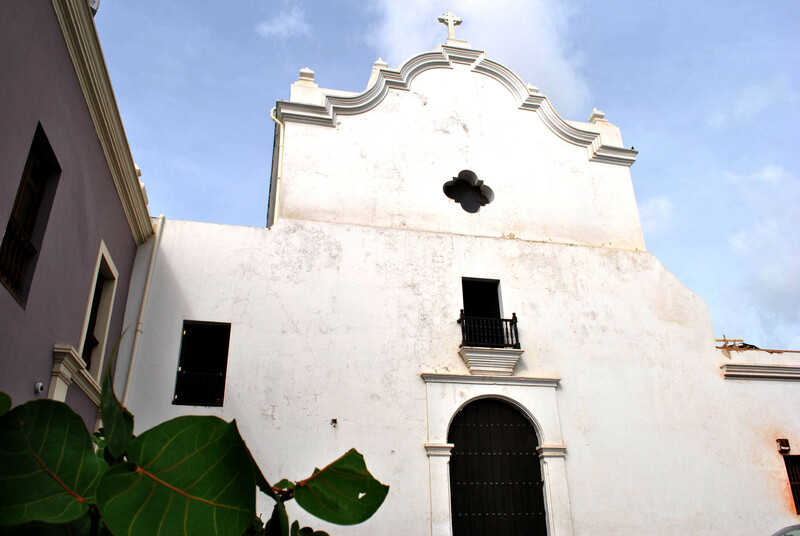 However, it will take a lot of money to preserve Old San Juan’s San José Church in its original style — something that might be a little easier now because of its inclusion on the endangered list of historic places. Once a site is featured on the list, it’s there for life even if it eventually falls beyond restoration efforts. In that case, the Trust for Historic Preservation updates their list reflecting the site’s status. Astrodome – Houston, Texas. As the world’s first domed indoor, air conditioned stadium, the 18-story multi-purpose Houston Astrodome was once dubbed the “Eighth Wonder of the World” but now needs a viable reuse plan to avoid demolition. Chinatown House – Rancho Cucamonga, Calif. Once a general store and residence for a community of approximately fifty Chinese American laborers, the house is one of last remaining tangible connections to the history of the Chinese American community that helped build modern-day Rancho Cucamonga. Gay Head Lighthouse – Aquinnah, Mass. The first lighthouse built on Martha’s Vineyard, Gay Head Lighthouse is in immediate danger of toppling over the edge of the Gay Head Cliffs, a consequence of a century of erosion and the direct impact of climate change. James River – James City County, Va. Jamestown, America’s first permanent English settlement, was founded along the banks of the James River in 1607. The river and landscape are threatened by a proposed transmission line project that would compromise the scenic integrity of this historic area. Kake Cannery – Kake, Alaska. Kake Cannery played a key role in the development of the Alaskan salmon-canning industry during the first half of the 20th century, but immediate action is needed to stabilize the structural systems of the existing buildings. Village of Mariemont – Cincinnati, Ohio. The Village of Mariemont has been an inspiration for a generation of planners, but it is now threatened by a proposed transportation project, which would permanently scar the careful designs that make this place so unique.